Size How was your stay? 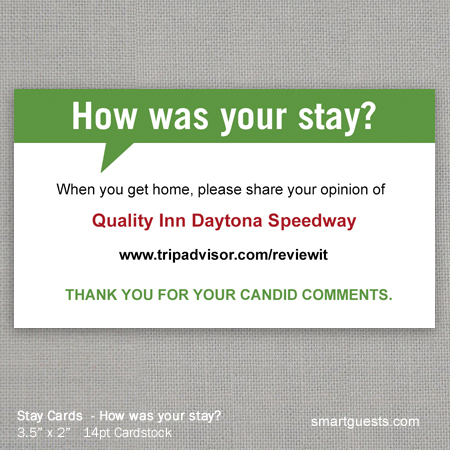 Ask guests to write a review using our Stay Cards. This custom designed tool reminds your customers to post a review. Start increasing your rankings and get more reviews. **Customization Designs also available. Contact Us.